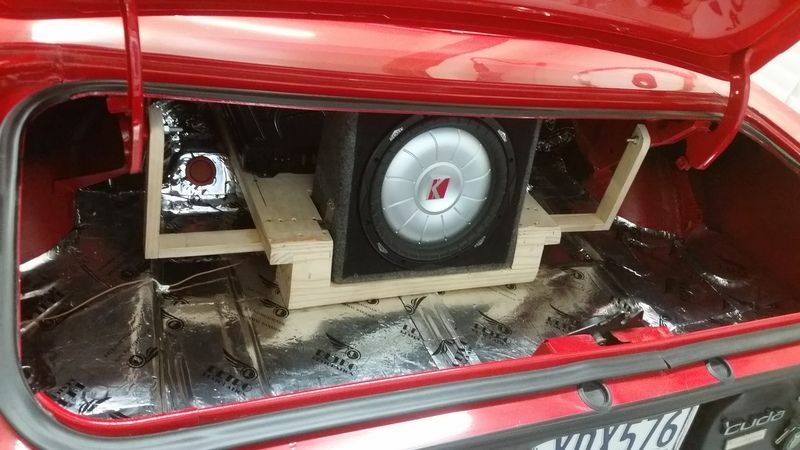 ï»¿ 73 Cuda subwoofer box? Post any pics of your trunks. I would be interested in seeing how y'all did it. 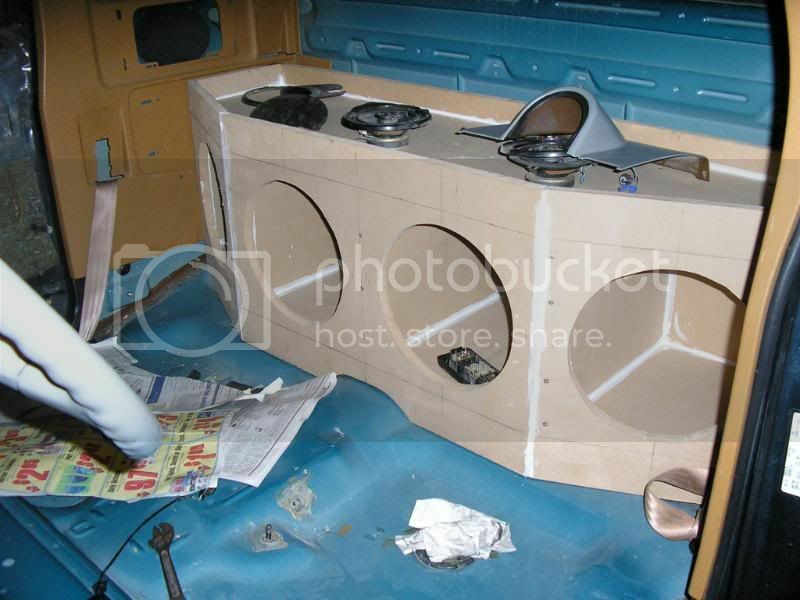 Re: 73 Cuda subwoofer box? 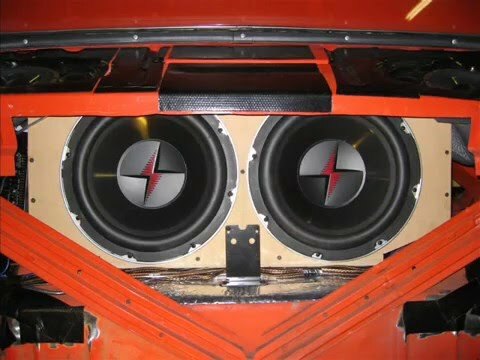 Although I enjoy a good sound system I'll be surprised of too many people putting 2 10's in their cuda. I'll happily take a look at the pictures however. I put my CD player under the passenger seat, with a infrared remote running to the dash so I can hide it and still control it. 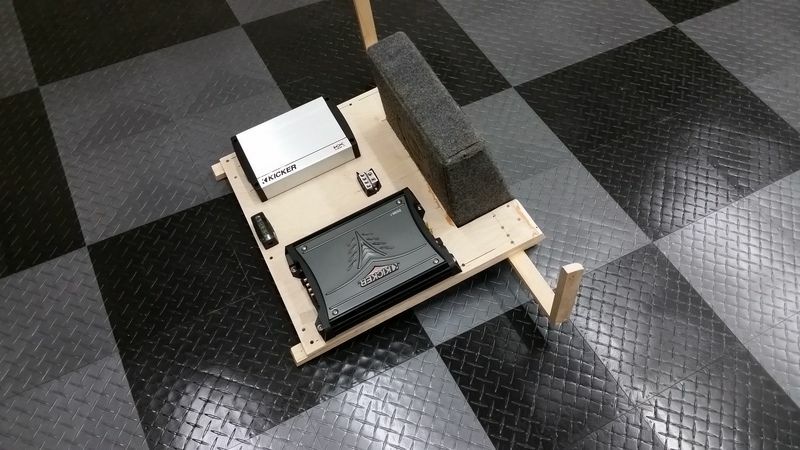 I put an 8 inch low profile sub behind the drivers seat that is on a quick connect so I can take it out quickly if for some reason I don't want it in view. Edit**somehow I ended up in the stereo section without knowing it until after I posted. Didn't know a audio thread existed. I hope to find some other ideas!! 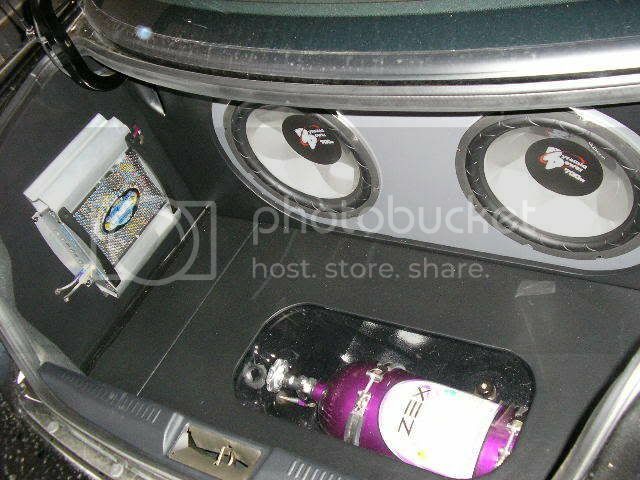 I just googled "Cuda trunk speakers" and a few images popped up. Here is one with the subs facing forward. It looks like these are 10". Here are some rear facing setups if you are wanting to have everything seen. I've never been big into sound systems but I built a couple years ago. I didn't spend much on components...they are very low end but I think they turned out OK for a novice. Might give you an idea or two. 92 Dakota...guess I don't have a finished picture of this one. 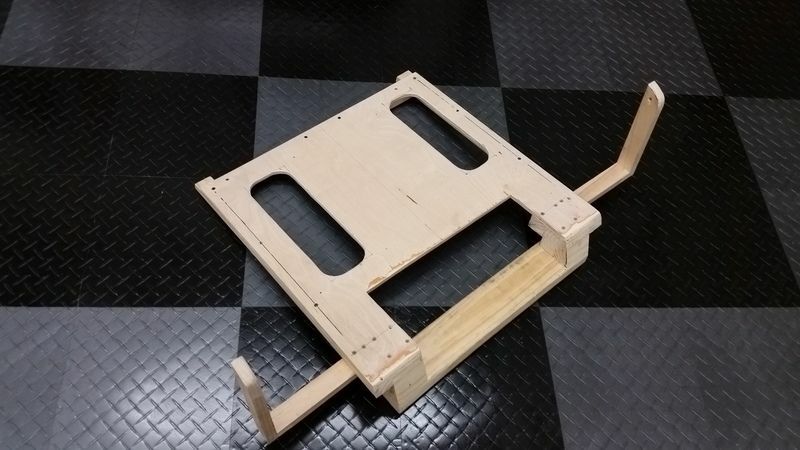 I made this wood amp mounting cradle. It is secured by two 1/4" bolts by the rear hinges and two wood screws thru the cross brace behind the rear seat. This view shows the two amps and wire connectors mounted. The holes beneath the amps are for venting. This is how it will fit in the trunk. The 10" sub is secured to the cradle with 4-dry wall screws. I will post pics of the panels after I have them completed. Those look good! Didn't think many people put subs in these old cars. Thanks for sharing with us. From my younger years of blasting my ear drums with dual 12inch woofers and the constant ringing I now hear, I just prefer a nice bass tone which the 8inch provides. but certainly love a well tuned system with some deep lows. I put a bazooka base tube in the corner of the trunk. Works great, but I wasn't trying to get big bass sound. 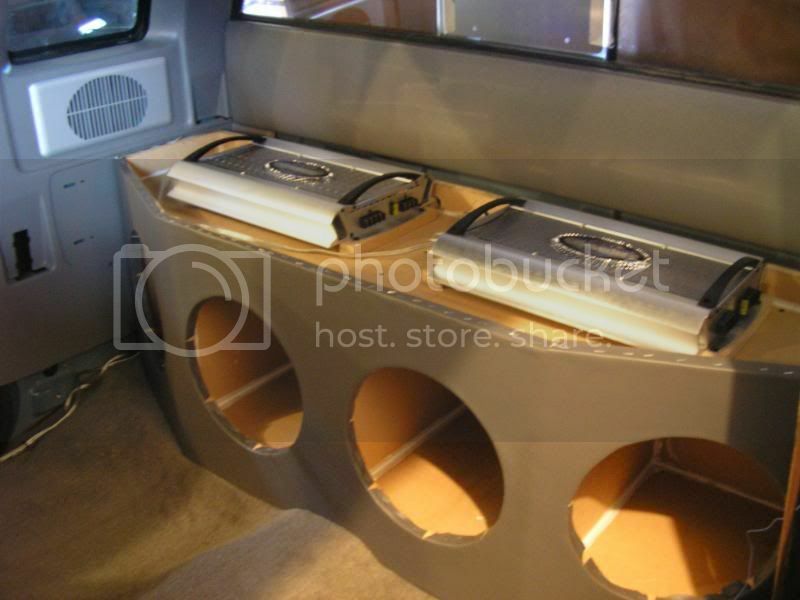 Have a component system up front, 2 tweeters in dash where center speaker was and to mids in kickpanels. Also have the woofers under the front seats. I have a convertible and was limited to where I could place speakers. Just got from Amazone a Rockville 800 watt peak Sub amp an 10" speaker $115.00 It will fit behind the rear seat cushion in the frame. Uses a 25 amp fuse and has remote volume. I put it on the floor behind the passenger seat for now. A 10" tube, really?